You are at:Home»GIVEAWAY/TREATS»Trick Eye Museum, Coca-Cola and The Rock and The Bird Book Christmas Giveaways! Ho ho ho … Christmas is coming and here from everyone in Our Parenting World (OPW) team, we would like to wish all our lovely friends and readers, Merry Christmas and a very Happy New Year! We have compiled a list of Giveaways from our sponsors in this post in celebration of the month of Christmas and Festive Holidays. To participate, please scroll down to the bottom of this post to enter the giveaways! Hurry, giveaways will end on 31 December 2014 at 23:59Hr! 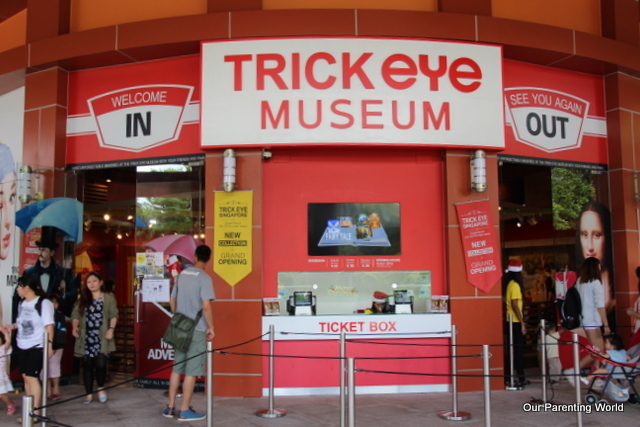 1st lucky winner will win a pair of tickets to visit the popular and one of the must-visit attractions in Singapore, Trick Eye Museum. Read about our visit to Trick Eye Museum at this LINK. Giveaway Tickets are proudly sponsored by Trick Eye Museum. 2nd and 3rd lucky winners will each get a set of Coca-Cola “Movement is Happiness” theme gift packs which contains a coolie bag, 6-pack of Coke, 2 frisbees, 1 hula hoop, 1 skipping rope and 1 foam can holder. 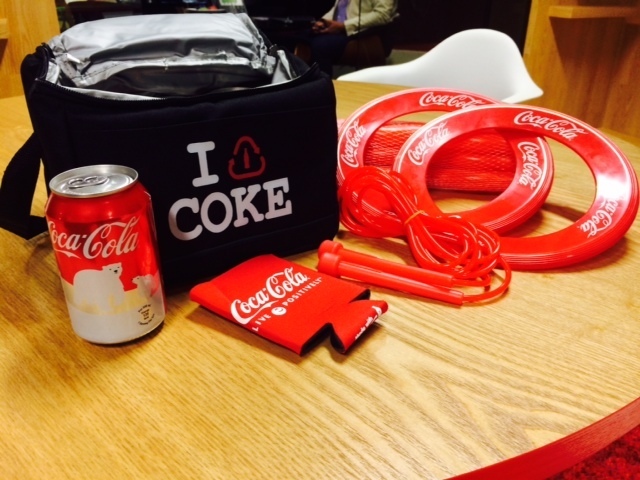 Read about our participation in Coca-Cola “Movement is Happiness” activities at this LINK. Prizes are proudly sponsored by Coca-Cola. 4th, 5th and 6th lucky winners will each get the award winning “The Rock and The Bird” book. Read about our review of the book at this LINK. Prizes are proudly sponsored by Rise & Shine, Chew Chia Shao Wei and Anngee Neo. 2. To get Coca-Cola gift premium, Coca-Cola would like you to share your ideas of ways you can build movement into your lives or share your favourite activity time with your family at the comment section of the giveaway post. 3. Please ensure that you have filled up your name and email address correctly at the comment section of the post for us to contact you for the collection of prizes. All participants are eligible to take part in the above Giveaways. Kindly ensure that you have completed the above step 1, 2 and 3 to qualify for the giveaways. Random winners will be picked and announced through our Facebook and Website. Hurry, contest will end soon on 31 December 2014 at 23:59Hr. 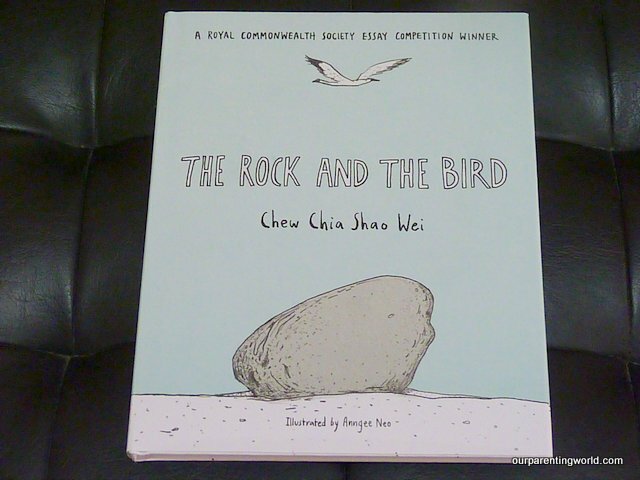 4) Julia Chia – award winning “The Rock and The Bird” book. 5) Linda Tang – award winning “The Rock and The Bird” book. 6) Carol Lim – award winning “The Rock and The Bird” book. Congratulations to all our winners! The organisers will be contacting you to collect your prize. Thank you to our kind sponsors, Trick Eye Museum, Cola-Coca, Rise & Shine for the fabulous gifts. Please stay tuned to our next giveaways and thank you 🙂 Wishing you a very Happy and Blessed 2015! 2. My favourite activity time is going for a stroll together with my family after dinner. 1) Liked Our Parenting World Facebook page. 2) My favourite activity is playing board games (e.g. chess, snake and ladder, monopoly, etc) with my family. I hope I can win the Trick Eye Musemum as it will be an eye opener for my girls!!! My favourite family activity is taking fun wefie photos as well as take fun pose photos which we can keep as memories…. 2) Favourite family activity time is to spend time together going for picnics, swimming and playing badminton games. 1. Liked 2. We read and craft. 3. Done. 2) My favourite past time is bringing my sons out & spend quality time with them! Our favorite family time is playing puzzles and pretend parties with our 3-year after dinner; and reading books before bedtime. 2. We like to go to Changi Beach to see aeroplanes and kids have fun at the playground. The playground got swings which is hardly found now. 2. We like to go picnic as a family. Its a good bonding time, chit chat, fly kites, blow bubbles etc. 2) Favourite activity with my family is Biking & Walking through different trails exploring parks, museums etc..
2. Favourite activity is swimming as my toddler gal is beginning to love swimming with her float. She used to hate her float because it made her feel trapped. Now that she enjoy the water so much, it become our favourite activity! 1. Liked. Our parenting world facebook page. 2. My family loves to go to West Coast park every Sunday . Me and my hubby will do our jogging while my kids cylce on their bikes and scoot around with their scooters. These activities are not only healthy, it also a good way of bonding. I hope to win the tickets to have a great time at the trick eye museum. 3. Done filling up with my name and email too. 1. Liked Our Parenting World Facebook page. 2. My favourite activity is to explore the parks, gardens and places of interest around Singapore with my family. The memories that we have created from such family outings are irreplaceable. I hope I can win the trick eye tickets. Thanks. 2) We like to play at outdoor playgrounds for our girl to build resilience and improve her coordinations skills. Wow… I can’t wait to bring my children to the museum. It look so fun for a family outing. our family of 6 love outdoor! esp going to the parks! Our favorite family time is playing puzzles and pretend parties with our 3-year old daughter after dinner; and reading books before bedtime. Our favourite bonding time with the family is our weekend morning workout at Bishan Park. Cycling with the family at the Pasir Ris Park during the weekend. 2) My favourite activity is going to my mum’s house and the children will play with cousins while grownups chat and cook. 2) Our favourite family activity, we like to take a stroll along the parks and swimming at the beaches especially the Palawan Beach at Sentosa. Thank you Our Parenting World for the fabulous giveaways and Happy New Year to all! Our family bonding time is a weekly trip to the Gardens by the Bay. Picnic at the Marina Barrage with the family! 2) Our favourite activity time camping with my family and playing board games. 2) Favourite activity time is bonding with my hubby and children over swimming, playing games and having fun! Enjoy having picnic at the Marina Barrage with my family. 2) Our favourite family activity is jogging and spending time together. Thank you Our Parenting World and Happy New Year! We love having afternoon teas during the weekend. It is great for catching up with the kids and family. 2. Having fun playing board games, eating, jogging, strolling doing things together as a family. 2. Favourite family activities badminton games, swimming and cycling. 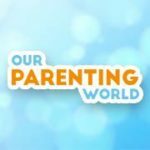 Thank you Our Parenting World for the fabulous giveaway. Happy New Year! 2) My favourite activity is walking.